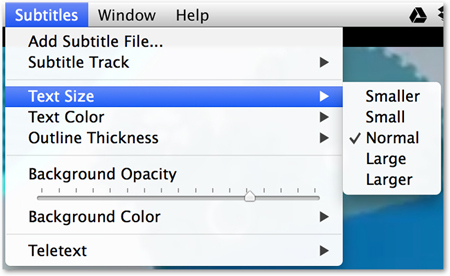 VLC Media Player is an open-source application that gives you the ability to play media from your computer or a disk, or to stream it from the Web, and is available on both Mac and PC. 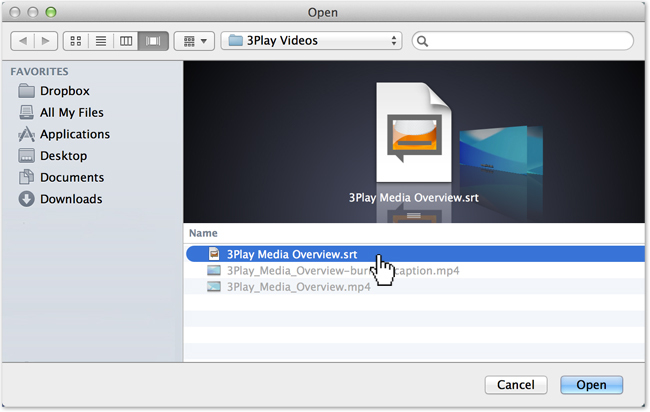 VLC is a useful tool for viewing your 3Play Media captions outside of the account system. 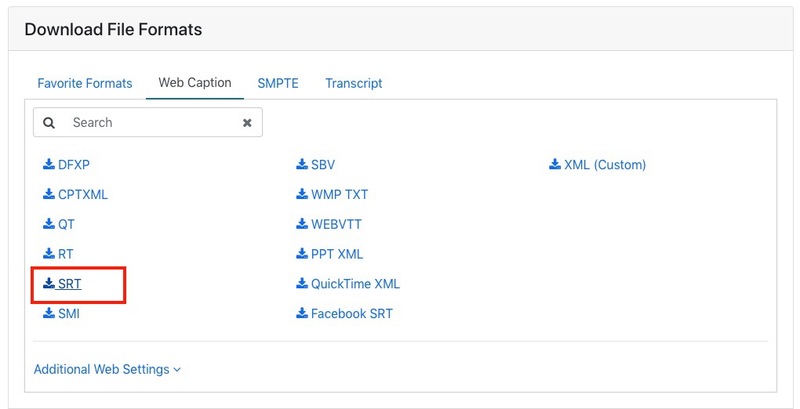 Log into your 3Play account and download the SRT file associated with the desired video file. Open VLC and click File --> Open and open the video file the desired video file. From the top menu, click Subtitles --> Add Subtitle File. Find the SRT file associated with the video file. The video file should now be displaying captions. 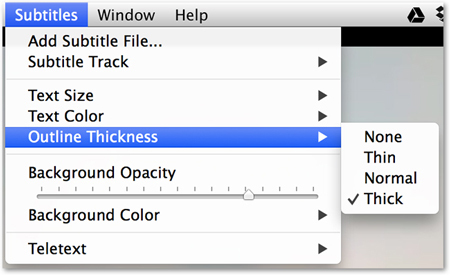 VLC offers a variety of customizable options for the captions. 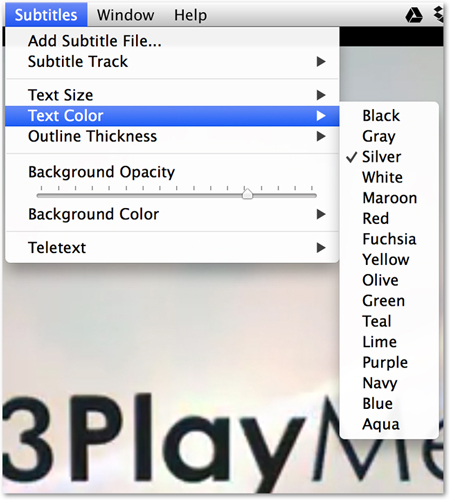 By clicking Subtitles from the top menu, there are many options for customizing captions, outlined by the images below. Make sure the Subtitle Track has been selected. VLC has many ways to stylize your captions. 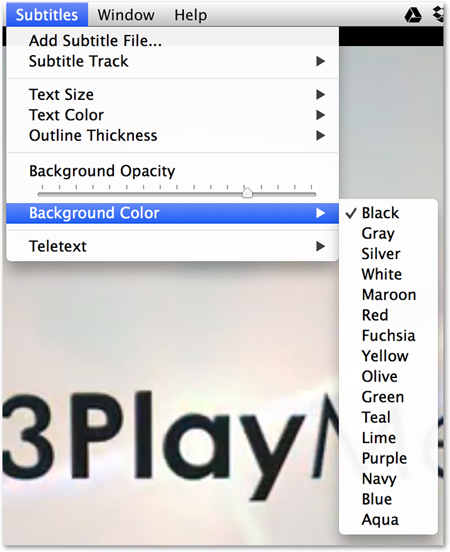 Click the Subtitle menu at the top, and choose from a list of options. Background Color; the color of the box behind the letters.